When you live on the coast down the road from Montevideo, Uruguay, the number -25 (measured in Centigrade) is difficult to take in. Your eyes get big as dinner plates and you gasp before putting on your boots and coat and heading out the door. It has been cold and snowy January and February here at Water Run Farm and our house guest, Santiago Guzman Guzzo Rodriguez (“Santi”), has been doing his best to find his place in our snowy routine. We cleared the dining room of the table and my chaotic sabbatical desk was organized to create a room for Santi with a bed–happily for him–immediately above the wood-burning firebox furnace in the basement. Santi will be with us for three weeks. He is talking classes and participating in all kinds of school and cultural events. He has joined other underdressed high school kids watching ice hockey games at McCollum arena, is attending classes, and he has spent most of the day at a mall. 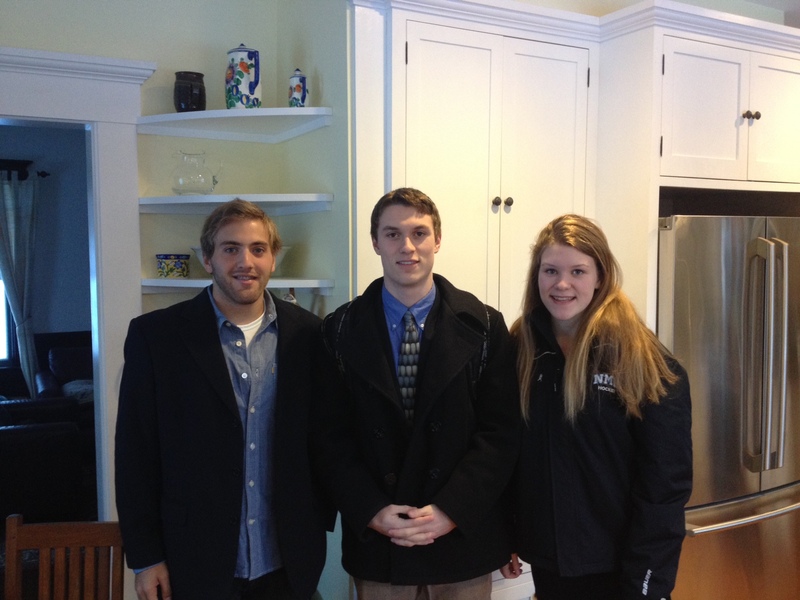 This weekend Santi headed off to Boston with his Uruguay classmates and chaperones. Our winter guest is outgoing, curious and a delight for all, especially Nan, with whom he shares many things–most significantly music, sports, and girls. And the other night, over the long weekend, we ended up playing beer pong (well, with no beer) on our big kitchen table.